English Champion Stakes winner Cracksman is now equal with Winx at the top of the world rankings. 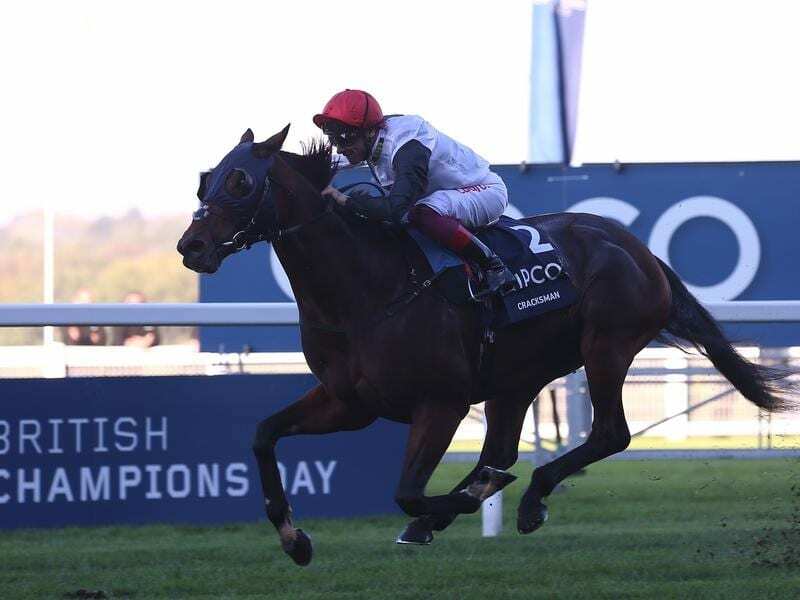 Trained by John Gosden, Cracksman rose five points after his six-length victory over Crystal Ocean last month to 130. Poet’s Word and Roaring Lion are on 127, one point ahead of Breeders’ Cup Classic winner Accelerate, Hong Kong’s Beauty Generation and Crystal Ocean. Star mare Enable remains on 125 despite winning her second Prix de l’arc de Triomphe and the Breeders’ Cup Turf.